Home » Best Mattress Guide » DreamCloud Mattress Review 2019 – Can The DreamCloud Bed Hold It’s Promise? DreamCloud Mattress Review 2019 – Can The DreamCloud Bed Hold It’s Promise? If you’re looking for a luxury hybrid mattress with premium foams and adaptive innerspring coils, the DreamCloud mattress is making some waves in the mattress world. A great option for those who like the motion absorption and feel of foam, but prefer the push-back, supportive feel of a spring bed, the DreamCloud bed aims to bring customers the best of both worlds. It’s an adaptive spring bed that doesn’t bounce around too much, with all the durability and quality of a high-end foam mattress. 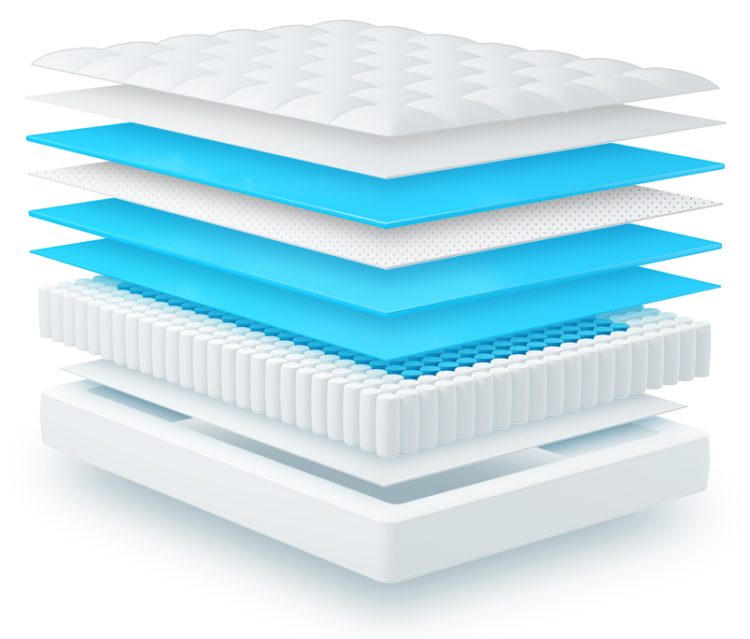 Unlike most hybrid beds, with a layer or two of foam above innerspring coils, the DreamCloud mattress is built with an impressive eight layers and is focused on providing spinal alignment and firm support, while offering a bit of that contouring plushness of memory foam. Each layer is made from high-quality materials and each has its own, specific function. And, with an unbeatable 365-night trial period and forever warranty, the DreamCloud is offering incredible value. Because the DreamCloud offers a firm level of support but still has cushioning foam layers, its doing quite well to satisfy all sorts of sleepers and body types, especially heavier people and couples. The springs give a nice amount lift to the hips and pressure points are nicely cushioned, no matter which way you sleep. You are a heavier sleeper – The DreamCloud mattress provides the nice, cushioning feel of multiple foam layers, but gives great support without too much sinkage, making this bed a great option for heavier customers. You prefer the feel of an innerspring mattress – Some people just don’t like the feel of an all-foam mattress. While the DreamCloud bed does contain foam layers, it doesn’t give the hugging, wrap around sink of a soft memory foam bed. You want the cushioning of memory foam but like a firm bed – If you want a bed that is firm, but not hard, the DreamCloud might be the mattress for you. While it offers a bit of sinkage in the upper foam layers, its innerspring coils provide a lift and push-back that gives a “floating on top”, firm feel. You are a back or stomach sleeper – While some foam mattresses don’t provide enough support for back or stomach sleepers, the DreamCloud is getting good feedback from customers, as it is firm enough to support one’s hips and keep customer’s spines aligned. Customers are rating the DreamCloud mattress on the firmer end of the scale and, on a 10-point scale of firmness, it sits somewhere between a 6 to a 7.5. The variance in firmness level will depend on your weight and body type. Smaller sleepers might find it is closer to a 7.5, whereas heavier or overweight customers will find it a bit softer, as their weight will push down deeper into the layers than a customer of average weight. No matter your body type, you will definitely feel that the DreamCloud mattress offers a firm level of support. But it also has nice cushioning in the top layers and cradles your body while providing great pressure relief. After sinking in slightly, your body will meet the firm push-back of the individually-pocketed innerspring coils and feel lifted and weightless. Another nice bonus of the innerspring coils is that the bed has a great level of edge support. While most foam beds are usually lacking in this area, the DreamCloud gives the benefit of edge support that only springs can provide, making it great for edge sleepers and heavy customers. Although the DreamCloud mattress isn’t the cheapest hybrid mattress in the online mattress world, its high-quality materials, construction and infallible warranty means it offers great value for its price. It is made with eight, individual, luxury layers, starting with a base layer of proprietary high-density foundation foam, for spinal alignment and stability. Above this is their layer of patent pending “BestRest” coils. These individually foam-encased micro coils are placed in five separate zones, for optimal spine support and great lift. The third layer up from the bottom is a layer of DreamCloud’s Super Dense foam, which acts as a transition layer of support and motion absorption between the spring and upper foam layers. Above this is a layer of supporting memory foam, also high-density, with deep contouring support. Then, a natural latex foam makes up the next layer, to further absorb motion, sleep cool and give a bit of bounce. Two layers of memory foam make up the top layers of the bed. One is a quilted layer, which promotes air circulation, loft and what DreamCloud calls a “resting on clouds” feel. The other uppermost layer is gel-infused memory foam. It conforms to your body but sleeps cool. All layers are wrapped in a luxurious, hand-tufted, cashmere polyester blend cover, for soft breathability and a high-end feel. These eight layers make for a total height of 15 inches, for a plush, deluxe sleep. As we touched on above, DreamCloud features several cooling technologies to keep customers cool and it is a great option for hot sleepers looking for a foam bed that they won’t sink into. The innerspring layer allows air to circulate around the individually-pocketed coils and the foam layers are also made to be cool and breathable, with a gel infused layer and a naturally cool, perforated latex layer. Even the mattress cover is designed with cooling in mind, and the company claims that cashmere is three times more cooling than foam or cotton. Likewise, the DreamCloud mattress has several features that are designed specifically to isolate and absorb motion, making this mattress a great option for those who sleep in multiple positions throughout the night or sleep with another person. The individually-pocketed coils are more flexible than the average mattress spring and are designed to work with the foam to respond to movement and absorb motion. Multiple layers of high density foam work well to make sure you don’t feel your partner moving around, as well. Latex is also great at absorbing motion, while still providing a bit of bounce to the overall feel of the bed. While some innerspring beds are terrible at isolating motion, the DreamCloud bed is getting great reviews from couples. For a bed with many memory foam layers, the DreamCloud mattress has a great level of responsiveness and it returns to its shape very quickly. This makes it a great bed for people that change positions in the night, as it doesn’t leave impressions for very long. The multiple layers of high-density foams, quick responsiveness of latex and thick, innerspring layer means this bed excels at keeping its shape no matter how much you move around. Best of all, DreamCloud’s Everlong Warranty covers excessive, permanent body impressions of greater than 1.5 inches, which means that they will replace your mattress at any point for as long as you decide to keep it if it sags or doesn’t retain its shape. The DreamCloud mattress is CertiPUR-US certified, as well as certified by five other rating groups to be free from any known harmful gases and chemicals. It also doesn’t contain any formaldehyde, heavy metals or harmful chemicals used as flame retardants. Customers are reporting that the DreamCloud mattress does not have a strong smell and that any “new” smell it does have dissipates quickly, after setting the mattress up and letting it air out for a day or so. It takes up to a day to let it fully expand and be ready to use anyway, so this shouldn’t be too much of an issue and any smell mentioned is typical of a new bed-in-a-box. In terms of eco-friendliness, there are certainly mattresses that contain more natural materials, but the DreamCloud bed does include some natural latex and cashmere in its cover. As we already mentioned, the DreamCloud is not the cheapest bed-in-a-box out there to order online. But, for a bed that has such a fantastic warranty, an amazing sleep trial period and multiple, luxe features and materials, we think the DreamCloud is a pretty good deal. 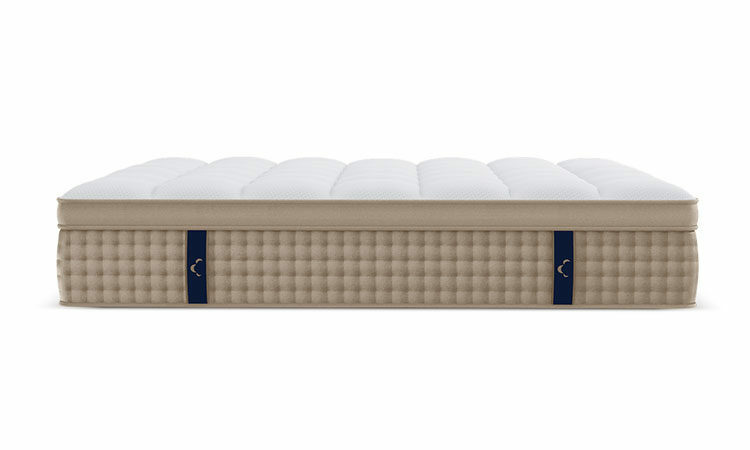 At a sale price of $1,399 USD for a queen, there is no doubt that it is an investment for some, but the sleep trial period and warranty mean that you probably won’t need to buy another mattress for a long time and it may even save you money because of this in the end. While most mattresses are designed to be replaced in less than a decade, DreamCloud’s Everlong Warranty means that they are confident you won’t need another bed for a long time. As mentioned above, DreamCloud’s sleep trial period and warranty are two other areas where they really excel. The company boasts a full year or 365 nights to try out the bed and make sure it is right for you. If you decide that the DreamCloud is not your kind of bed, they’ll pick up the mattress and refund your payment. They also mention that less than 3 percent of customers return their mattress and that the sleep trial even covers customers who are using financing to pay for their bed. The warranty is equally as impressive. DreamCloud offers what they call an Everlong Warranty, which means that they guarantee the construction, materials, quality and durability of DreamCloud for as long as you decide to own it. As they put it, they believe that if you purchase a DreamCloud mattress, it should be the only bed you ever need and they guarantee no fine print. Q: Does this mattress have a removable mattress cover? A: The quick answer is no. The cashmere blend cover of the DreamCloud mattress is not removable and therefore you cannot take it off to wash it. However, the company offers a pretty cool, one time, professional cleaning on request, after owning the mattress for one year and they also offer a Like-New refurbishment offer, if it is required after 5 years of ownership. Q: Is this bed a good option for smaller, lighter people? A: Maybe not. While everyone has different preferences, some small customers find that a firm mattress is not great for them. This bed has multiple foam layers in its upper construction, but a lighter customer might not be able to get the benefit of all these layers. The nice thing is the sleep trial means you can give it a try to see if it works for you. Q: Is this bed good for people with mobility issues? A: Possibly. Some people who have trouble getting in and out of bed prefer a high-profile mattress. At 15 inches, the DreamCloud is a fairly high bed, which means you don’t have to bend over too much to get in and out and it has great edge support, so you can sit on the edge of the bed when getting ready to stand. However, thicker mattresses are sometimes not so good with adjustable, motorized bed frames, so keep this in mind if need be. Q: Why is the DreamCloud bed so much cheaper than similar luxury hybrid mattresses? A: While the DreamCloud company will tell you that this is because they’ve cut out the middleman and don’t have a fancy, expensive showroom or in store salesperson, this is only part of the story. The other reason is that their beds are made in China and shipped out of fulfilment centres in Washington state, so they can save some money with overseas manufacturing. For a hybrid mattress, DreamCloud provides great value for its luxury materials and high-end construction. With its eight layers of foam, quality innerspring coils and cashmere, hand-tufted cover, the DreamCloud mattress is raising the standard for bed-in-a-box online retailers. While their bed is made in China, it is made with superior, certified and safe materials and features a best-in-the-business sleep trial period and warranty. Good Support: If you’re shopping for an innerspring mattress, you want to make sure that the springs inside the bed are of good quality and can support your weight. Look for reviews that mention edge support, as well, and luxury features such as individual pocketing and zoned support. Nice cushioning from foam layers: A good hybrid mattress with have a nice amount of pressure relief on hips and shoulders and is firm without being too hard. Look for beds that support all types of sleeping positions and contain high-density foams so you don’t sink in too much. Cooling features: Any high-quality bed that contains foam should have built in cooling features, whether it is air channels, gel infused foams or open cell technology. A bed with springs should allow air to flow freely around the coils and not trap heat. 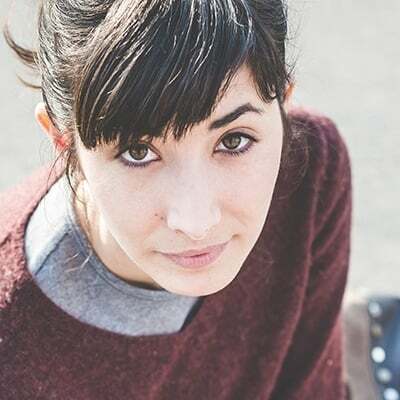 Good warranty and sleep trial: As with any mattress, look for a bed with a decent sleep trial period and a good warranty when purchasing a hybrid mattress. This will give you the opportunity to try out the bed without any risk. This is especially important if you are changing bed types and trying a hybrid bed for the first time. Motion isolation: An innerspring bed can be bouncy and irritating for the person you are sharing the bed with. A good hybrid mattress absorbs motion well with its foam layers and has springs that don’t flex too much. Responsiveness: Be on the lookout for a hybrid bed that has a nice level of responsiveness in its upper foam layers. A high-quality mattress should return to its original shape quickly when you change positions and not leave any permanent impressions. Look for a company that guarantees against permanent sags or dents. Eco-friendliness & Smell: With all the many new high-quality foams on offer, there is really no excuse for a mattress company to be using foams that are not environmentally friendly or CertiPUR-US certified. Oftentimes you get what you pay for in this area, so make sure you know what your new mattress is made of, if it meets health and safety regulations and if it’s going to have a strong smell. NECTAR Mattress 2019 Review: How Good Is the Nectar Sleep Bed Really?